Comments from Listener log: Positive comments regarding June 19 Diaspora. Another listener had submitted via Facebook a lengthy, well thought out critique of several public affairs programs. Molly initiated dialogue with this listener, and the P.C. chair is going to invite him to attend our next meeting. Board approved new P.C. applicant Dan Ruggiero. NEXT MEETING: August 4, 5:00 to 6:30 p.m.
June’s minutes were approved, and posted to the WORT website. WORT will have some live remote broadcasts from La Fete de Marquette festival. Discussion about subs getting proper training. 2 new “8:00 Buzz” engineers in training. Discussion about whether to continue using the “Radio Kiosk” format, which has been inconsistent. 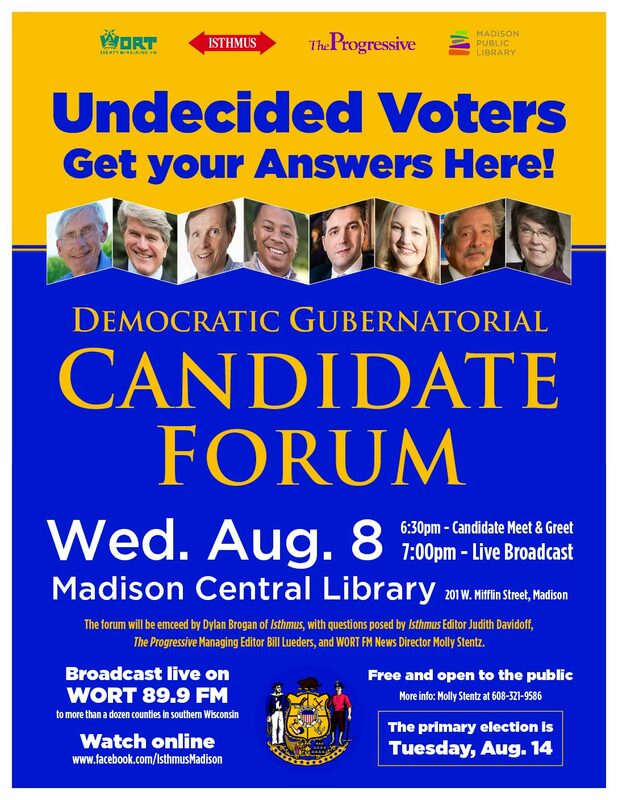 Discussion to host a debate ahead of August 12 partisan primary election for Attorney General. Interns being brought in from Boys & Girls Club and Simpson Street Press. Review of Sal Serio, host of Friday night’s “The Rattlesnake Shake” and sub of many other music programs. Discussion about how to make evaluation form more concise and how to elicit more thoughtful responses from programmers when doing the self-eval. Continued issues with new phone system. Tests being done to evaluate why quality of call signals was been lousy. Vendor will be providing us with new test equipment to troubleshoot. Dan Ruggiero agreed to take over P.C. secretary role. Meeting Adjourned : 6:41 p.m.